What are some of the differences between a Tax-Free Savings Account (TFSA) and the Registered Retirement Savings Plan (RRSP)? The TFSA is a registered savings account that makes it easy for Canadian taxpayers to earn investment income, as the account title states, tax-free. A TFSA allows you to save money while deferring investment income on the after-tax monies invested. Contributions to the account are not tax-deductible, and any withdrawals of the contributions and earnings from the account are not taxable. Canadian residents age 18 or older can now contribute annually to a TFSA; the limit is $5,500 for 2018 and $6,000 beginning in 2019. Click here for the updated RRSP contribution details. RRSP contributions are tax-deductible while RRSP withdrawals are added to income and taxed at regular rates. 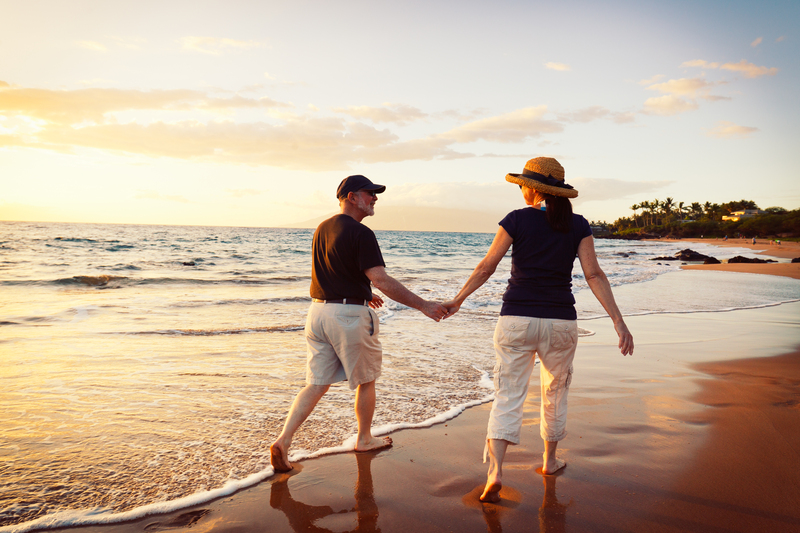 Your RRSP is primarily intended for retirement savings. Click here for the updated RRSP contribution details. Reducing taxes on savings can encourage even greater levels of financial security as you invest. Because there is no tax paid on the investment income in or on withdrawals from a TFSA—Canadians now have a greater incentive to add the TFSA strategy to save for any need or for retirement. Savings help to increase the funds available for investment when you combine your RRSP and your TFSA strategies during retirement. TFSA contributions are not tax-deductible, but the contributions and the investment earnings are exempt from tax upon withdrawal. The TFSA offers the benefit of allowing after-tax investments to accrue without taxation. Tax assistance provided by a TFSA complements that provided through RRSPs. Unlike an RRSP the money you put into your TFSA cannot be deducted from your income on your tax return. Canadian residents, age 18 and older, can contribute annually to a TFSA. Similar to the RRSP, after you file your tax return each year, the government will determine your remaining available TFSA contribution limit for the coming year. Any unused contribution room gets carried over to the following year. Click here for the updated TFSA contribution details. You can have more than one TFSA insofar as you don’t exceed your contribution limit. Those who expect to be taxed at a lower marginal tax rate in retirement may be better to contribute to an RRSP before a TFSA. There is no TFSA spousal plan. Individuals can provide funds to their spouse or common-law partner to invest in their TFSA, up to the spouse’s or common-law partner’s available room, and the income earned on the contributed amount is generally not attributed back to the spouse or partner who provided the funds. The TFSA may also be a good investment if you are a member of a pension plan and have minimal if any, room to invest in your RRSP due to a high pension adjustment (PA) factor. More generous plans have a higher PA, leaving less room for personal RRSP contributions. You can supplement your retirement savings through the TFSA. Unlike an RRSP, which must be converted to a retirement income vehicle at age 71, a TFSA does not have any minimum withdrawal requirement. For retirees with low income, every dollar withdrawn from an RRSP or RRIF will reduce the Guaranteed Income Supplement (GIS). Money taken out of your tax-free Savings Account is taken out tax-free. You get your contribution room back in the following year. The full amount of withdrawals can be put back into the TFSA in future years. Careful when you re-contribute to a TFSA: Re-contributing in the same year may result in an over-contribution amount which would be subject to a penalty tax. You don’t have to pay any tax on money you take out of your tax-free Savings Account as you do with an RRSP, so you’re not penalized for short- or long-term saving. This makes the TFSA useful for investors who trade stocks or equity funds frequently. Cautionary Note: Frequent buying and selling in a TFSA for the purpose of profit-taking may alert CRA to unusual tax strategies, which has been suggested lately as a caution. The RRSP Maximum contribution for 2018 is $26,230; for 2019, $26,500. In 2018, the annual TFSA limit is $5,500 giving a total of $57,500 for someone who has never contributed and has been eligible for the TFSA since its introduction in 2009. The annual limit for 2019 is $6,000, for a total of $63,500 investment room available in 2019 for someone who has been eligible since 2009. Note: Withdrawals from TFSAs, with gains and losses considered, affects the available TFSA room: To date, unused TFSA contribution room plus total withdrawals made in this year plus next year’s TFSA dollar limit equals the TFSA contribution room at the beginning of next year. Maximum pensionable earnings for 2018 is $55,900; further it is $57,400 in 2019; and the basic exemption amount remains $3,500 for 2018 and 2019. Most Canadians will spend their employed lives in a higher average tax bracket than they’ll have in retirement. Thus, an RRSP may be the best way for the majority of Canadians to build a retirement nest egg. If the tax rate at the time of withdrawal is expected to be higher than at the time of contribution, your best choice may be the TFSA. The TFSA can improve savings incentives for low- to modest-income individuals because either the income earned in a TFSA nor the future withdrawals from it affect eligibility for federal income-tested benefits and credits, such as the Canada Child Tax Benefit, the GST credit, the Age Credit, Old Age Security and Guaranteed Income Supplement benefits. Consider consulting your advisor before deciding whether to place money in an RRSP or a TFSA or to find out the combination of contributions that is best for your situation.